When I learned about Earthing, it made so much sense. I was living in California, moving through a long line of shifts to my lifestyle, and all I wanted to do, all I craved, was getting into the ocean and walking barefoot in the sand. Now let me tell ya, the beaches and oceans of Los Angeles are far from clean. (Let's please continue to work together to do something about this.) But I did not even care. There was something about tucking my feet in and under the sand that made sense, that felt good, that felt right. It wasn't until a few years later that I learned the science behind it. 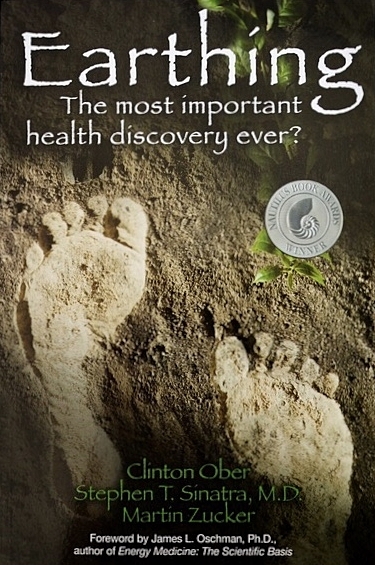 I was fortunate enough to learn through the grapevine about the book upon its release to gain an understanding of the science behind what my gut instinct was telling me. Then it was also shared within my health coaching certification I completed in 2014, so I was ever more convinced that this is legit. By all means, take your shoes off, put your feet on the ground and ground down daily for a minimum of 30 minutes. Springtime is the perfect time. You won't regret it.